The implications of the refinery outages and the port closures could be dramatic, although how long it will last is uncertain. The first obvious effect is a disruption to the production of refined products, which could have substantial effects on the U.S. fuel supply. As of Monday morning, more than 2.3 million barrels of daily refining capacity was knocked offline, according to Reuters, or about 13 percent of the nation’s total. That has already forced gasoline futures up by 7 percent to their highest levels in two years. The effects will reverberate well outside of Texas. For example, the massive refineries on the Gulf Coast send gasoline through a major artery to the U.S. Mid-Atlantic and Northeast. The disruption will mean that much of the country could see higher gasoline prices soon. The Gulf Coast also exported 2.7 mb/d of refined products in May, much of which was sent to Latin America and Europe. Related: Is Wall Street Funding A Shale Failure? In fact, as the world’s largest refined product exporter, disruptions in the U.S. will be felt around the world. “Any hiccup in U.S. refined product exports is highly disruptive to the supply chain given the dependency of nations like Mexico and other Latin American countries on the U.S.,” Michael Tran, director of global energy strategy at RBC Capital Markets, told Reuters. Worse, refined product output in Latin America has fallen recently, with Mexico and Venezuela most vulnerable to supply outages in Texas. “If there are a lot of shutdowns, whatever capacity is running will get consumed in the U.S., it will have to be, so Latin America will have to get its barrels from elsewhere. It creates a domino effect,” Vikas Dwivedi, global oil and gas strategist at Macquarie, told Reuters. That domino effect will push up refining margins worldwide. "If (U.S.) refineries shut down for more than a week, Asia will need to run at a higher level, because there's no spare capacity in Europe," Olivier Jakob, managing director of Petromatrix said in an interview with CNBC. Texas imported 1.9 mb/d of crude oil in May, while the Gulf Coast also exported 0.75 mb/d. The port outages will wreak havoc on oil differentials – Gulf Coast refiners import heavier crude to process, while coastal ports export lighter oil coming from Texas shale fields to customers overseas. In the short run, the U.S. could see a bit of a glut of lighter forms of oil, while heavy oil producers overseas will be hit by a temporary interruption of purchases from Texas refiners. 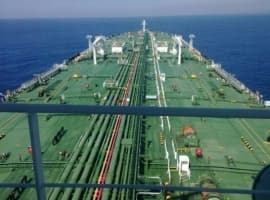 There are reports that oil tankers are idling offshore in the Gulf, but they will likely have to wait a little while longer before they can dock. Those disruptions could also inflict pain on upstream shale producers. S&P Global Platts reports that two crucial pipelines servicing the Permian Basin – the BridgeTex and Longhorn pipelines – saw operations suspended, taking 650,000 bpd of takeaway capacity offline. That could weigh on the prices that Permian shale drillers receive for their product. Other pipelines in the state were also temporarily idled. Cheniere Energy’s Sabine Pass LNG export facility was spared, with only minor damage reported and no expected interruption to service. Meanwhile, oil production offshore was also affected. 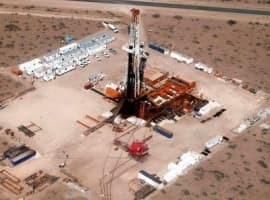 S&P Global Platts says that an estimated 378,633 bpd of oil output was knocked offline as of August 27, or about a fifth of the total production in the Gulf of Mexico, while a quarter of the region’s natural gas output was also sidelined. More than 100 oil platforms in the Gulf were evacuated, although those platforms will probably come back online much quicker than the onshore refineries. The damage to upstream shale production onshore is a bit more uncertain, although could be significant. ExxonMobil’s shale unit, XTO Energy, shut in all production that was situated in Hurricane Harvey’s path, although production details were not provided. 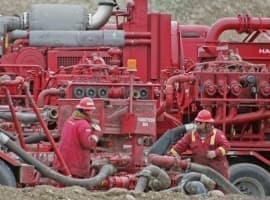 S&P Global Platts says that thousands of wells could be affected in the Eagle Ford in South Texas, and Platts Analytics’ Bentek Energy says that the Eagle Ford is currently producing 1.34 mb/d, which is down slightly from the 1.41 mb/d the region is expected to average this month, according to EIA data. Hurricane Harvey was one of the worst in Texas’ history, but even as the winds die down, the damage from rain remains. Another 15 to 25 inches of rain is possible by Friday, so the worst of the flooding is not over.